Did Memphis Police & FBI Set Up MLK? Browse: Home / Did Memphis Police & FBI Set Up MLK? Monday is Martin Luther King Day, ommemorating the civil rights leader who was assassinated April 4, 1968. 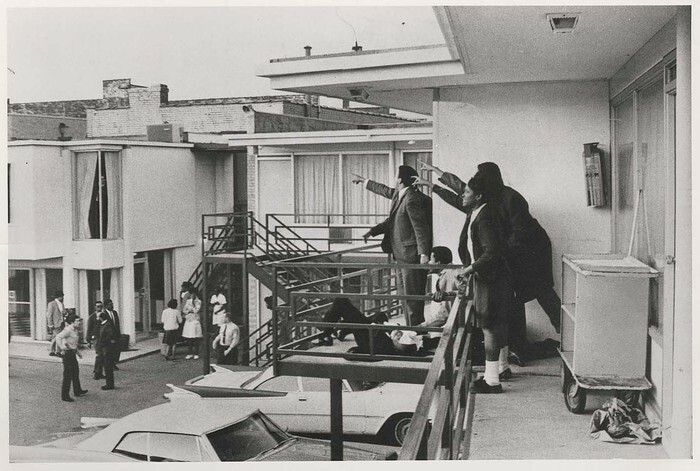 When I saw this picture, I wondered who had lured MLK on to the balcony where he was a sitting duck? Was it a photographer? 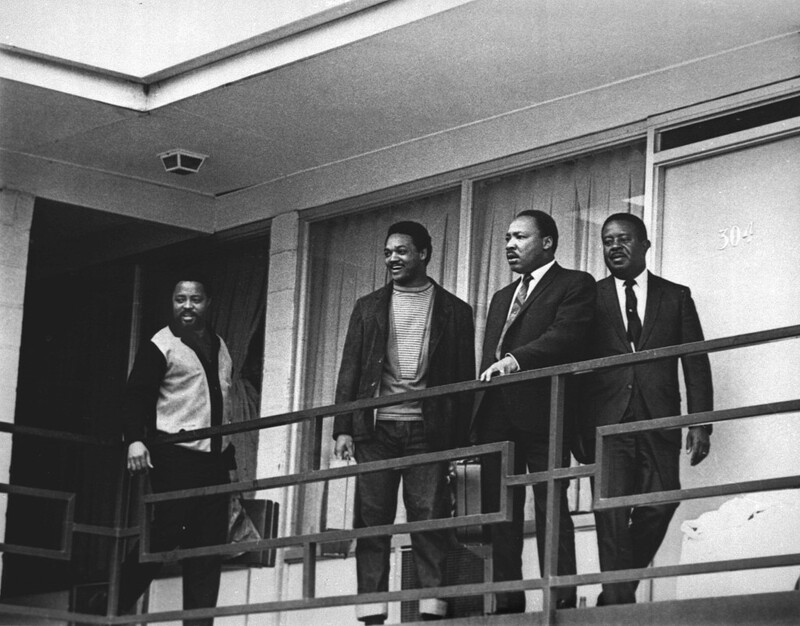 A little investigation revealed that this picture of King surrounded by (l to r) Hosea Williams, Jesse Jackson and Ralph Abernathy was taken April 3, the day before his murder. Also, this was not “a balcony” but the front entrance to the Lorraine Motel rooms. King originally had a ground floor room. “I don’t know that it makes any difference now, but that room downstairs in the corner had originally been his room,” his associate Andrew Young recalled. Unknown to her, Clara was photographed standing next to James Orange by Joseph Louw, who was doing a documentary on MLK for the precursor of PBS. The iconic picture of witnesses pointing in the direction of the shooter is sometimes attributed to Ernest Withers, a prominent civil rights movement photographer. Withers had been at his Beale Street studio when he heard King was shot. He ran to the Lorraine, where he met Louw and took him back to his darkroom to develop his film before returning to the Lorraine. Over the next few days, rioting erupted in dozens of cities. Now, federal officials pressured the city of Memphis to settle the sanitation workers strike which had brought King to Memphis. On April 16, the strike ended with the recognition of the workers’ union and wage increases.